Another day another humiliation for Theresa May, this time from the Dutch PM. The Dutch PM, Mark Rutte, compared the struggling British PM to the knight from comedy classic film, Monty Phyton and the Holy Grail. The hapless knight is attacked and bits of him are sliced off, but continues to think he is winning the fight. 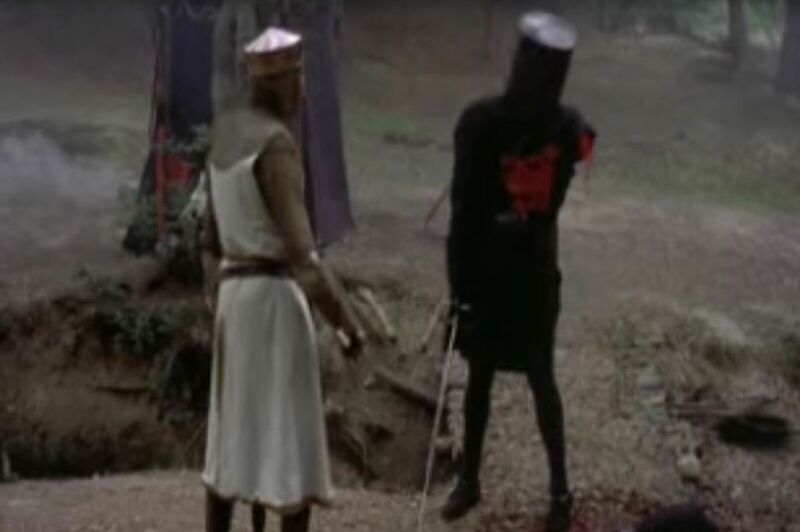 In the cult classic film, the character has all four of his limbs cut off but wants to keep on fighting telling his attacker that it’s a “flesh wound” and “I’ll bite your legs off!”. The comments come after May still refuses to give up trying to pass her Brexit deal, even after two shocking defeats in the House of Commons. According to a translation by Bloomberg, he compared her to the Black Knight from Monty Python and the Holy Grail. Mr Rutte told Dutch TV: “I have a lot of respect for Theresa May.